Okay so you’re ready to head out into the great outdoors – embarking on that next adventure. You’ve got everything packed that you need if everything goes right—but what if something goes wrong? You’ll need to be ready in case of an emergency! Whether you are camping, fishing or hiking, boating, RV’ing or just picnicking at the lake —the Be Smart Deluxe First- Aid Kit is designed to have everything you need just in case something goes wrong. 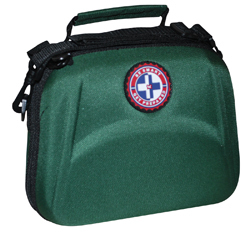 The hard compact carrying case has both a hand and a shoulder strap and includes over 237 pieces of first aid essentials. You get adhesive bandages, in several sizes, butterfly closures, knuckle bandages, adhesive tape, cotton tip applicators, finger splints, gauze eye-pad, gauze pads in two sizes, sterile trauma pad, gauze roll, examination gloves, instant cold pack, tweezers, splinter remover, scissors, burn cream ointments, lip ointment packets, hydrocortisone packets, antibiotic ointments, insect repellent, sunscreen lotion, alcohol prep pads, sting relief pads, poison ivy cleanser, antiseptic towelettes, emergency water, emergency whistle, antacid tablets, non-aspirin tablets, aspirin tablets, emergency blanket, 12 hour bright stick and a first aid guide. The Be Smart First Aid Kit Deluxe 237 is on SALE NOW at 33% OFF! To order your Be Smart First Aid Kit visit our online RV parts store.